Scholarships to apply for now! Attending college is expensive. Luckily, thousands of scholarships are available to students. 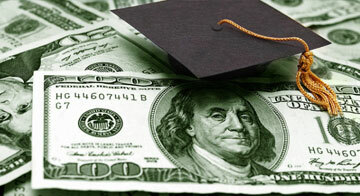 A new list of scholarships with deadline approaching in April is worth taking a look at. Can you read an essay, then answer ten multiple choice questions? Are you preparing for Christian ministry? Could you make a video that encourages people to avoid distracted driving? If any of those apply to you, then there's a scholarship that you might qualify for. You might be surprised at the wide variety of scholarships available. This list of scholarships with fast-approaching deadlines could be your ticket to free money to go to college! Have you applied for any scholarships? We would love to hear about them in the comments below.